Two weeks ago, the United States Department of State reported a climate of impunity in the Buhari government “that allows officials to engage in corrupt practices with a sense of exemption from punishment.” In the Country Reports on Human Rights Practices for 2018, the State Department’s Bureau of Democracy, Human Rights and Labour, said Nigeria had made little progress in efforts to limit corruption in its public service. 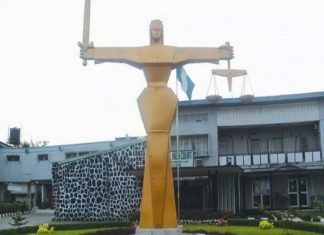 It stated: “Although the law provides criminal penalties for conviction of official corruption, the government (Nigeria) did not implement the law effectively, and officials frequently engaged in corrupt practices with impunity. The report stated further that Nigeria’s two key anti-corruption agencies, the Independent Corrupt Practices and Other Related Offences Commission (ICPC) and the Economic and Financial Crimes Commission (EFCC), had broad powers to prosecute corruption, but rarely applied such powers to conscientiously and logically prosecute corruption cases. I thought that there would be a vigorous reaction from the Buhari government on this US report, with facts and figures. Two weeks after, none came. I guess there is really nothing to defend in this fantasy war against corruption. Just few days back, Transparency International (TI) also punched holes in Buhari’s hyped war against corruption. The Berlin-based organization, leading global fight against corruption, reported that substandard anti-money laundering measures of the government; corruption in Nigeria’s defence and security budgets; attacks on civil society organisations (CSOs) and journalists, amongst others, had all contributed to Buhari’s failure in his war against corrupt practices. 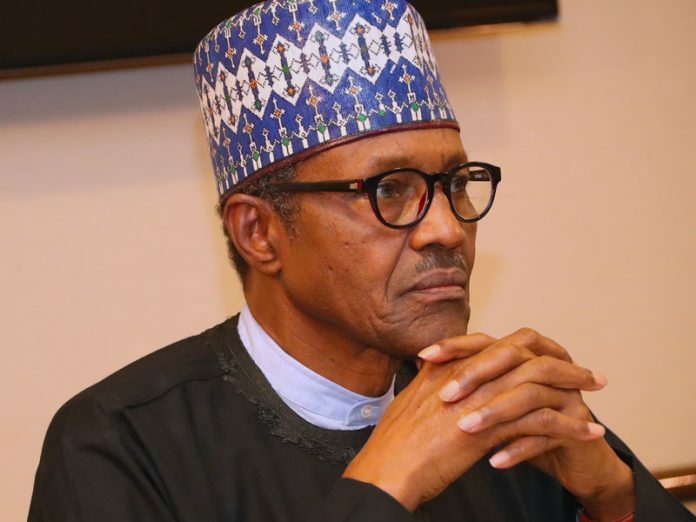 TI, in a summarised review of Nigeria’s latest ranking in its 2018 Corruption Perception Index (CPI), where the country scored 27 out of 100, and was well below the regional average of 32 in the Sub-Saharan Africa region, noted that of the various anti-graft commitments and promised made by the Buhari administration since he assumed office, less than a quarter had been delivered. 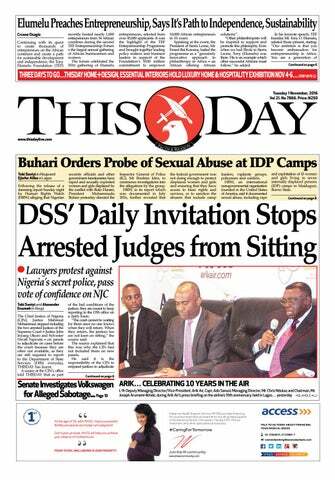 The USDS and TI are not saying anything new about Buhari’s make-believe war against corruption. Many patriots have persistently pointed out the flaws in it, with a long list of untamed sleaze cases – NNPCgate, Maihajagate, Mainagate, Barugate, Yusufgate, Babachirgate and the rest of them. The shenanigans are unending. Can you imagine a government that is fighting corruption approving a frightening N1.4 billion for the design of a 12-floor head office building in Abuja for the Department of Petroleum Resources? The architectural and engineering designers alone will pocket N1.4 billion. Yes, N1.4 billion. The Federal Executive Council gladly approved the contract. The total projected cost of the building when it is done is about N35 billion. This will take the building’s cost to N36.4 billion. I guess the building will be made all of gold. This is happening in a country where millions of people go to bed without meals and wake up not sure of where breakfast will come from. This profligacy is happening in a country rated among the eight hungriest in the world, with millions of people starving in the North-east. Daily, revenues that should go into the Federation Account are squandered by Federal Ministries, Departments and Agencies in a supposed era of change. Last Monday, I watched the Minister of Trade and Investment, Okechukwu Enelamah, perspiring while defending the 2019 budgetary proposal of the ministry before lawmakers. The Senate Committee on Trade rejected the ministry’s budget proposal because it voted N42 billion for a firm, Nigeria Special Economic Zone Company, which the minister said was a government firm, but the lawmakers found out that it was a private company. The panel confronted the minister with facts and figures showing that the firm was privately-owned and that the firm’s name was Nigeria Sez Investment Company Limited and not Nigeria Special Economic Zone Company as claimed in the documents presented by the minister. This should not be happening in an era of change. Under Buhari, the NNPC is permanently into these trickeries. Which corruption is bigger than spending billions of Naira (unbudgeted) on petroleum subsidy? The grossly mismanaged corporation recently reported that it incurred a loss of N228.1 billion between April and November 2018, a period of just seven months. Money gobbling has been the name of NNPC’s game under Buhari. This corporation once told a bewildered nation that petrol consumption had jumped to 60 million litres daily, with N1.7 trillion paid as subsidy in 2017. Rent seekers in the oil industry are still collecting the proceeds of crude oil sales under Buhari’s watch. This is why the NNPC spent a monstrous $5.8 billion on the importation of 9.8 million metric tons of petrol in four months – October 2017 to January 2018. Many are questioning these figures. NNPC’s petrol import and expenditure claims are cloaked. The four refineries owned and operated by the NNPC are in shambles. They posted a cumulative loss of N114.3 billion in the first 11 months of 2018. It is depressing to note that many of the sleaze allegations in the last four years are waved aside with impunity. I can’t forget that ofthe Minister of Education, Adamu Adamu. 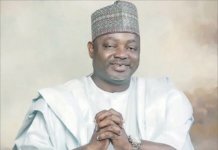 Last year, the sacked Executive Secretary of the Tertiary Education Trust Fund (TeTFund), Abdullahi Baffa, had alleged that he was forced out of office owing to his refusal to provide monetary kickbacks to Adamu. 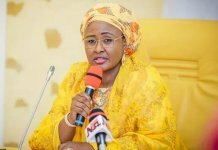 Baffa told BBC Hausa Service that the Minister had sent a contractor to him demanding his share of N200 billion disbursed by the agency to tertiary institutions in Nigeria. Like so many other untreated sleaze cases involving government officials, our anti-graft agencies did not show interest in the Adamu case. Fighting corruption in Nigeria is evidently a padi padi arrangement. 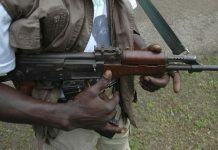 For those who have not been following the gory story, this is a quick recap: Precisely 17 days ago, March 20, gunmen stormed the residence of a private school proprietor in Swali, a suburb of Yenagoa, Bayelsa State, and shot three members of the National Youth Service Corps, staying in a lodge provided by the school’s proprietor. The NYSC members were attached to Victory Group of Schools in the Bayelsa State capital.While two of them died in the attack, the third one was critically injured. Yes, Popoola Olamide, a graduate of Obafemi Awolowo University/indigene of Oyo state and George Onokpoma from Delta State were murdered by these bastards.The walls of the room were riddled with bullets while blood soaked the floor; the blood of innocent young Nigerians, whose only crime was heeding the call to serve motherland. This is one big mess of a country. Unending tears are flowing in the homes of the two murdered NYSC members. Parents that have invested heavily in these young men, up to university levels, had their corpses sent home to them. The Commissioner of Police, Bayelsa State Command, Olusola David visited the state secretariat of the NYSC a day after the incident. He met with the state NYSC Director, Mrs Lotto Bolade, expressed shock over the incident and assured the NYSC of a security strategy to ensure the safety of corps members in the state. Asimim Butswats, spokesman of the police added that the command had launched a manhunt for the gunmen. That was where it all ended. All talks, no action. As I pen this piece, there is still no news about arresting the gunmen. The Bayelsa Policeboss and his men are clearly coldblooded. In sane climes, the entire security force in the state would have proactively moved to apprehend the killers of these NYSC members. But this has not been the case. 17 days after the heinous crime, the gunmen are still at large. The most painful part is that the Bayelsa State Police Command has been acting as if nothing happened. We are talking about the truncated lives of innocent young men who came to Bayelsa to serve the nation; then, have their corpses sent home to their parents. The bastards who committed this heinous crime must not go unpunished. Today, I challenge IG Mohammed Adamu to smoke out the killers of Olamide and Onokpoma. The culprits must be arrested and brought to justice. Nigerians are obviously tired of Vice President Yemi Osinbajo’s ‘PDP 16 years of failure’ mantra. The Vice President and his cohorts are the only ones unaware of this. This is why Osinbajo is still chanting the mantra. It was appalling watching him at the 11th Bola Tinubu Colloquium in Abuja whistling that the PDP did not complete any major infrastructural project in 10 years. Haba! This is outlandish. My dear vice president often forgets that the Buhari government will be judged by how much it is able to impact on the lives of Nigerians and not how much it is able to pummel its predecessor. Whenever Osinbajo mocks the previous government over corruption, I just laugh. Corruption under this government is also frightening. The 2017 Corruption Perception Index of Transparency International revealed that sleaze in Nigeria was more severe under the Buhari administration. Osinbajo is regaling us with stories about corruption under the PDP, while Nigeria wallows in darkness, poverty, disease, hunger, unemployment and malnutrition. Scores of frustrated Nigerians, who are victims of the poverty in our land, die daily trying to cross treacherous routes to Europe. The VP and his principal should concentrate on how to drag Nigeria out of the current mud this country has been thrown into by their almost four years of “change,” instead of all these Mongo Park stories. A serious government would have ensured a robust engagement of the poverty and unemployment ravaging our land. I have not seen this in the last four years. Osinbajo should be worried that Nigeria has surpassed India as the country with the largest number of people living in life-threatening poverty. One of the biggest problems the Independent National Electoral Commission created for itself in the 2019 elections was the large number of political parties it registered. It was the first time in the country’s history that ballot papers had 91 political parties. It evidently created logistic glitches for the umpire itself. For the voters, it was horrendous, as they spent time sifting through the long list on the ballot papers clogged with all manner of political parties. The most painful aspect is that these jankara political parties only existed on paper, creating gridlock in the electoral process. This must not be allowed to happen again in this country. Yes, it is part of democracy to allow as many political parties as possible, but for now, this country lacks the capacity to manage such a large number. Our election umpire does not even have the capacity to monitor the 91 political parties. So, INEC, please go ahead and deregister all the political parties that have failed to meet the constitutional prerequisites based on performance at the 2019 elections.